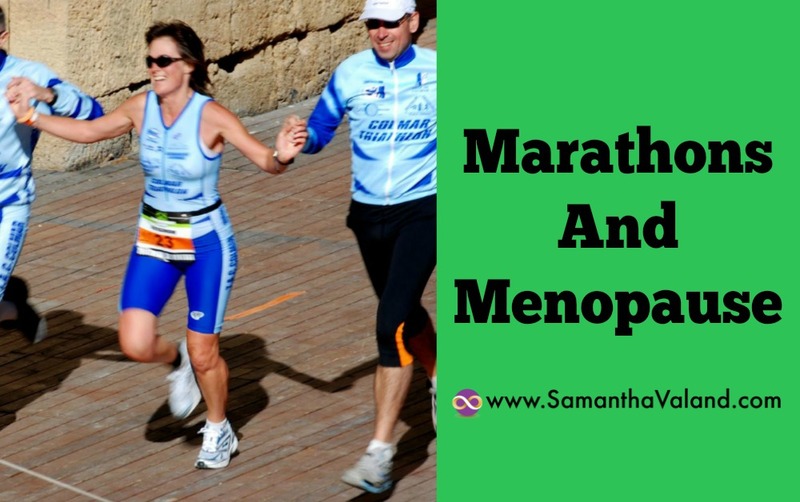 There have been a few comparisons recently between how easy a marathon is compared to the menopause, and for a few good reasons! Even if you are not a runner everyone knows marathons are a challenging endurance event. Marathons are deemed physical endurance based be length of time you are running. However they are also challenging from the point of you that you are trying to set up conditions within your control so you can perform to your best ability and get a ‘personal best’ or ‘pb’ result. Whether it’s your first race or your fiftieth you will always want to do your best. The impact on lifestyle can feel like endurance. Training for a marathon can take up to 4 month. Finding time in your busy life so you can follow your race training plan and run several times every week for hours is quite a commitment. You choose to run a marathon and also choose when to run it! Every woman knows about the menopause but it’s always a surprise when it happens. This is usually an inconvenient time and when we are clearly way too young for it! Choice makes such a difference to attitude and acceptance. When training for a marathon you nurture your body through the experience by how you live your life. Priorities are sleep well, eat well, resting when required, massages and stretch sessions when you need it. Women often punish their bodies for getting older and push them. Forgetting their bodies are doing an incredible amount of work coping with changes the menopause can bring. They are frequently running on empty because of this and wonder why they are tired all the time. Accepting you are menopausal starts to bring nurturing and self care back up the top to list. We often need to make changes in our life and get rid of the old to make way for the new. We are as unique on the inside as we are on the outside. Which means when our bodies change through the peri-menopause which is the years leading up to the menopause, symptoms can vary significantly from one women to the next. Doctors and health care providers can provide support and alternative herbal solutions so speak to them early on and find out what is available that works with your medical history and medication you are already taking. Lowering estrogen levels can make you more sensitive to both stress and sugar. So you may need to be more mindful of what you are eating and adjust to support the changes your body is going through. Simple lifestyle changes can make a huge difference to stress levels . You may need more sleep than you used to. Fluctuating energy levels may impact how you exercise. Switching to restorative exercise such as Hatha Yoga or leisurely walking might suit you better. You wouldn’t take it personally if a friend recommended a book and you couldn’t get into it and didn’t get further that chapter 2. So don’t take it personally if something works a friend and not you. It’s not a failure. We are all unique and therefore one size does not fit all. People and by people I mean complete strangers will cheer you from the side lines and keep you motivated when you are running a marathon. When you are in training people of all ages and interests will enquire about how you are getting on and sympathise with blisters and tight hamstrings. Post-menopause is defined as over a year with no periods. So it’s rather anticlimactic compared to than crossing a finish line. Many people have a post race celebrations however no one has a post menopause party! I’m sure both have sense of accomplishment and relief it’s over. The menopause is quite wishy washy and it’s one of these events that you don’t know it’s over until it’s over. If you have ever been to a concert they usually have encores at the end. It’s not until the lights come on you know it’s time to go. There can be a lot of encores during the menopause and waiting for the lights to come on at the end just signals the start of the next journey! What adventures are next? As with any life events it’s worth planning an acknowledgement of the change whether that is a new haircut. Change of exercise plan. Spa day treat, whatever works for you! You deserve a medal anyway!